Among the buzzwords that have popped up in the tech world in the last couple decades, ‘UX’ is perhaps one of the simultaneously most important and least understood. UX literally denotes ‘user experience’. UX refers to a broad range of interactions, attitudes, and relationships that ‘users’ have with particular products or experiences. 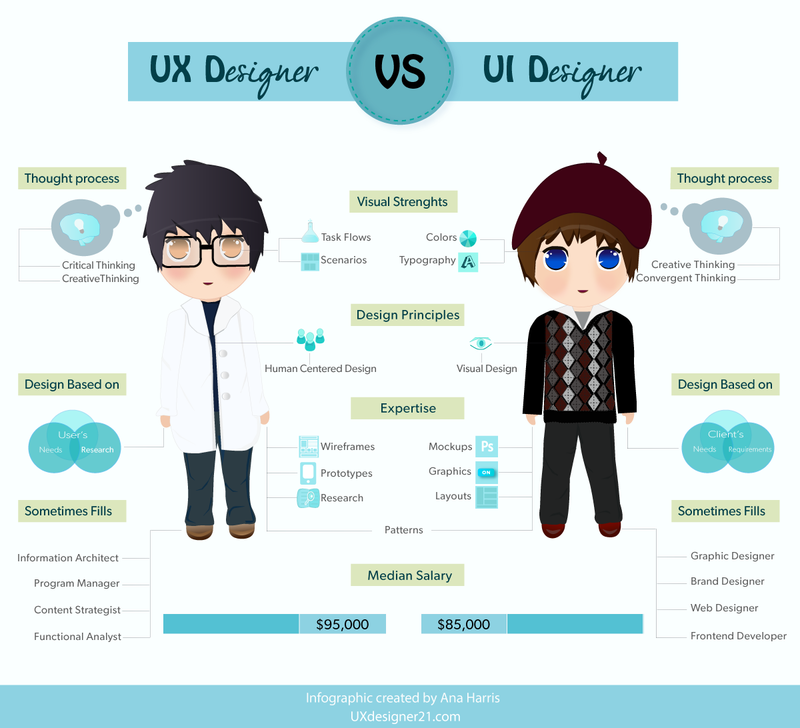 UX is often used alongside ‘UI’, or ‘user interface’ (though these are different—see below). Like many acronyms—including SAT and GOP—UX has a life and meaning of its own, beyond its constituent parts. Generally, UX is used to connote user’s interactions and experiences with digital products, like mobile apps and websites. It has a broader meaning in a design context, however, and extends to include physical and analog applications. The buttons you tap on Pandora, the machine that prints your boarding pass at the airport, and the temperature controls on your shower water—these are all potential UX projects. UX is not a single idea or method; it is more of an ethos of designing for actual humans, and designing in such a way that they like it, that it feels good for them to use it. UX designers are matchmakers—they marry the underlying product concept with the user’s needs. UX designers, by necessity, have to be wildly imaginative and wildly practical. Good design of course comes from creativity, but especially from well-curated, pragmatic creativity. Users (also known as people) are generally strapped for time and resources. Therefore, they will rarely use your product if it presents a nuisance to their lives. Even products that have useful applications can have annoying interfaces or procedures that disincentivize user engagement. It may be a good idea that captures your audience, but it’s usually good UX that keeps them around. And good UX is about look, feel, and usability all at once. It encompasses both macro- and micro-level design. Most people have at one point or another reached a door and not known whether to push or pull. We don’t mean figuratively. You have probably encountered a door in your lifetime, likely a glass one, and weren’t sure whether to push or pull. And you have probably made the wrong decision at some point, and felt embarrassed or confused that you were stuck behind this door while other people passed by. This is an example of bad UX. Ambiguous doors make users second guess their intuition, make them feel stupid, and make them less likely to use those doors again. Good UX is like a series of clearly marked and elegant doors, every step of the way. It empowers the user, and makes them feel smart. It matches their intuition. One example of great UX in the analog world is Southwest Airlines’s hold line. Virtually everyone has had an experience of being put on a hold line and being told ‘thank you for your patience’ while crackly music plays in the background. And no one likes it. Southwest recently implemented a solution that is both technologically efficient and easy to understand. Instead of making users wait on the phone, the hold line lives up to its name and ‘holds’ your place in line, then calls you back when a real human is available to talk to you. It’s not a complicated or even very exciting idea, but it is one that fits the problem. And that’s often the goal. ‍‍Imagine if someone could hold your place in line at the airport too. Another example of great UX, is the the top of the search page on Yelp’s mobile app. Often, people who use Yelp’s app are scrolling through places to visit right away. It’s annoying, then, to have to search furiously to filter for spots that are close by. 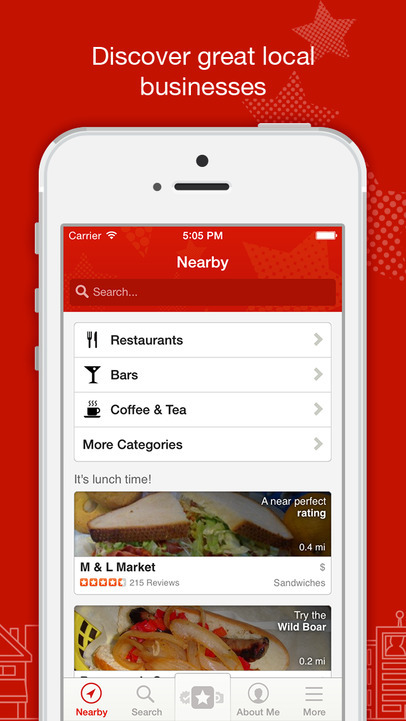 Yelp defaults to searches that are close to your phone’s GPS location. It’s a logical, practical solution, and one that matches the need. UX isn’t always about being flashy. In fact, for the everyday user, the UX should essentially disappear–users shouldn’t have to think about it because the product navigation is so intuitive. 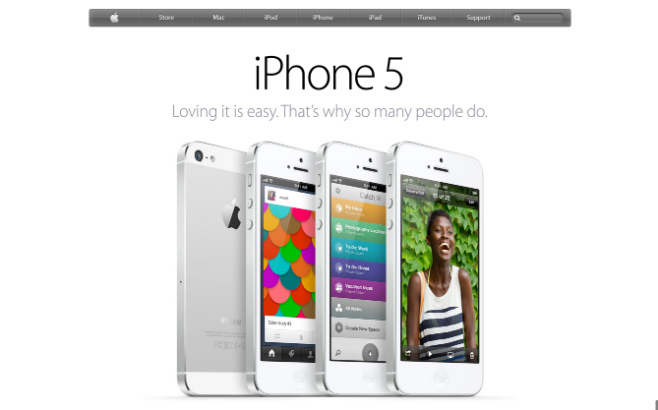 Apple is known for a range of products that are user-friendly, but their website too is a great example of sleek digital UX. It has a minimal, lightweight feel—consistent with the aesthetics of their products—and features images of beautiful objects or of users in happy situations like birthdays. It inspires optimistic emotions about their products and makes the website a fun virtual place to be. The responsibility of UX designers everywhere is to advocate for human users, not just cool products. To return to an earlier parallel, designers should know how to create doors that are exciting and easy to open. This task is broad, but it has a few fundamental principles and lessons can translate across different projects. This is how User Experience Optimization (UXO) becomes possible. UX experts, like those that work here at GobySavvy, are skilled at reading UX quickly, and at offering revisions. UX review services allow you to fast forward or jump start your design process, by relying on someone who has the design literacy to make your ­product elegant with less extensive user research. Our designers are familiar with the range of good/use-able and bad/non-functional design, and know just how to make your product interfaces match your product ethos. In the next several posts we’ll explore more about UX basics, and about UXO and its role within the larger tech/design landscape. We’ll also offer some practical tips on effective brainstorming, team-building, and UX/UXO processes. In the meantime, we suggest you return to your favorite apps or other products—digital or analog—and click or swipe through, with particular attention to the details. This might even be your own company’s product. The best way to understand UX is to feel it. It’ll help inform your reading and learning as you return here for more tips on UX and UXO. 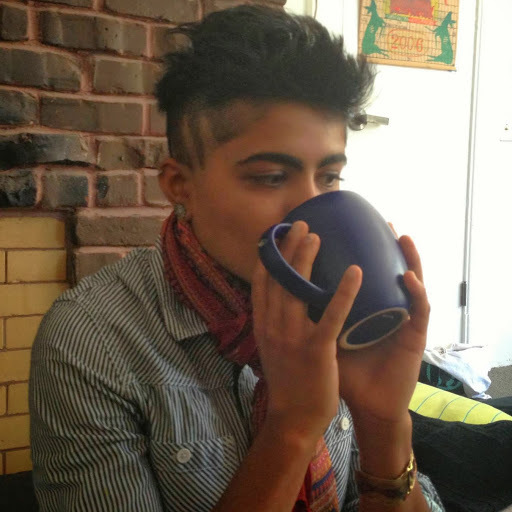 Janani has a Master's in Design Thinking and writes frequently about UX, design, psychology, and other topics.